Pictured are literary seniors Taylor Downs (left) and Katie Westbrook (right). 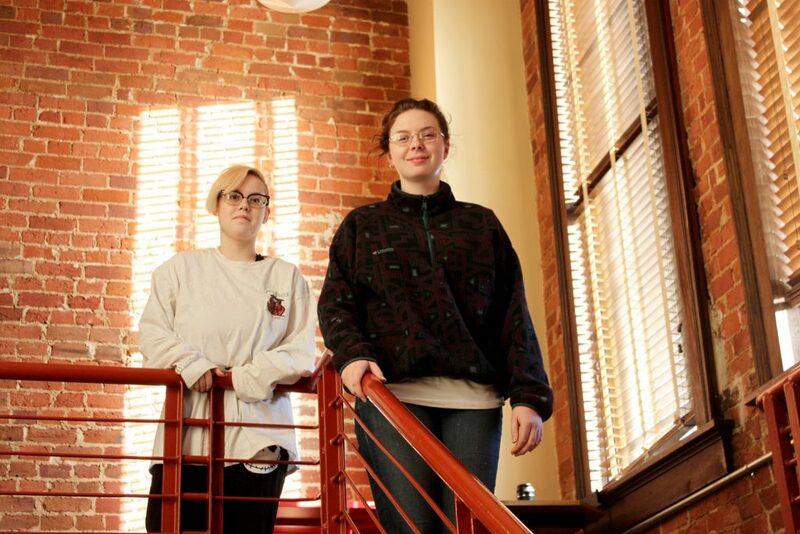 Two Literary students at Mississippi School of the Arts (MSA) have received awards in writing. Katie’s work has been published in Ringling College’s “Shift: A journal of literary oddities,” as well as UW Green Bay’s “Sheepshead anthology, and just recently in the fall journal of “Snapdragon: A Journal of Art & Healing,” and Sink Hollow” anthrology. Along with her admittance as a student at Mississippi School of the Arts, Katie was invited to be a part of the newly formed Mississippi Museum of Art (MMA) Teen Council for 2018, a group of high school students from all over the state who are invested in the arts. “We learn about museum curation and help around the museum, study current exhibits, as well as plan our own events through MMA, such as our upcoming Teen’s Night at the museum. It will be December 7, from 6-9pm,” she said. For more information about the Literary Arts program at Mississippi School of the Arts, click here or call Jennifer Jackson at 601-823-1300.